Canned cocktail bar Genuine Liquorette in New York’s Little Italy is to open a London outpost off Oxford Street this spring boasting self-service beer fridges. 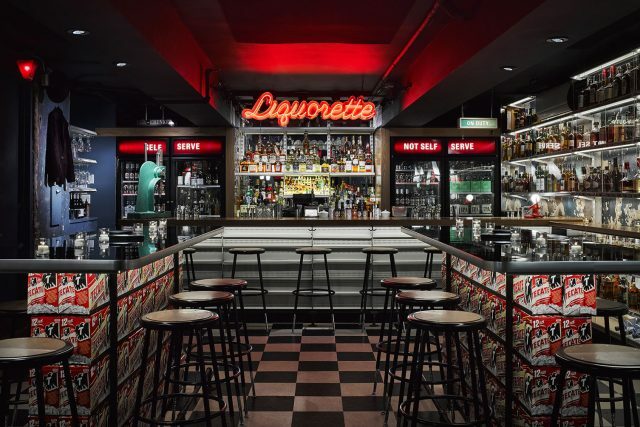 As reported by Eater, Genuine Liquorette is the brainchild of the AvroKO hospitality group, which has acquired a former Byron burger site in Rathbone Place in Fitzrovia just north of Oxford Street. The bar, which will also boast a restaurant, is due to focus on craft cocktails. The New York original, housed behind a plastic strip door beneath burger joint Genuine Superette, is inspired by the liquor stores along the Californian coast. The 34-seater bar with a black-and-white checkered tiled floor has the feeling of stepping inside an off licence with its rows of spirits glowing under neon lights. 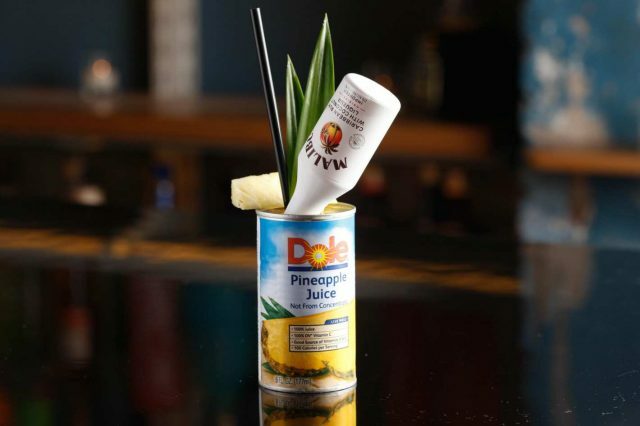 Classic cocktails are served in cans of San Pellegrino Pompelmo, Goslings ginger beer and Dole pineapple juice with upturned Malibu, Tanqueray and Zacapa miniatures sticking out of them and fruit garnishes balancing on the rim. The kooky venue also features self-service beer and wine fridges, and offers punters the chance to pay by the ounce for the spirits lining the shelves – bottles are weighed on scales before you go to work out how much you owe.